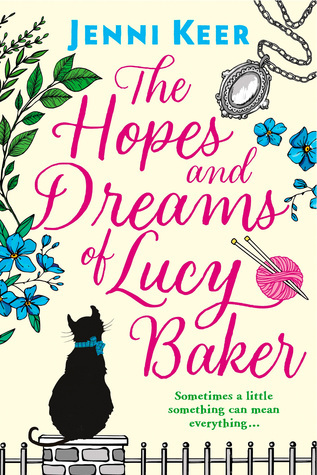 The Hopes and Dreams of Lucy Baker is a romantic novel with a touch of magic about it. I enjoyed it more than I thought I would as it’s a bit lighter than the type of book I usually prefer. But it has a feel-good factor and also gives a sympathetic and understanding picture of the problems of living with dementia. And as you can tell from the heading of my post this is a novel about friendship. It’s also about family relationships, love, caring for others and the importance of finding your own inner strength. I like Lucy – she’s a cat lover and an excellent knitter and also a kind, warm-hearted and generous character. At the beginning she lacks self-confidence and finds it difficult to assert herself both with her overbearing mother and in her job at Tompkins Toy Workshop. Her friendship with Brenda helps her develop a sense of her own self worth. I also like Brenda, with her purple-streaked silvery hair, and a love of rainbow clothes; in a previous age she would probably have been called a ‘wise woman’ or even a ‘white witch’ with her herbal remedies, potions and lotions. But when she is diagnosed with dementia she realises that her life will inevitably change. And more change is on the way when a new neighbour, George, moves into the house next door to Brenda and a scruffy black cat finds it way into the neighbourhood. It was not a huge surprise to me how things would turn out when Brenda gave Lucy a silver locket that when opened revealed words engraved in an ornate script. Brenda explains it’s a special locket that will boost Lucy’s confidence at work and with her mother and also help her find her true love. Lucy’s confidence improves and her creative side begins to blossom. I loved all the details of Lucy’s job at Tompkins, where she works in the sales office and her friend, Jess who works in accounts. There’s plenty of office banter and gossip as well as disputes and misunderstandings. But things are about to change there too as a new general manager, Sam is appointed. This is Jenni Keer’s debut novel and I hope to read more of her books in the future. This week’s topic is Rainy Day Reads (submitted by Shayna @ Clockwork Bibliotheca). My idea of a ‘rainy day read’ is that it is a book you can get lost in the story. I went round my bookshelves and picked out these books that I loved when I first read them – they are all books I’d happily re-read. Click on titles below to see their descriptions on Goodreads. Great Expectations by Charles Dickens, the classic that scared me when I first read about Pip’s meeting with Magwitch, the escaped convict in a graveyard. I must have been about 11 or 12 when I first read it – such memorable characters, the tragic Miss Haversham, cruel Estella, kind-hearted Joe Gargary as well as the terrifying Magwitch. A book I first read and loved as a teenager – Rebecca by Daphne Du Maurier. It begins with this sentence: Last night I dreamt I went to Manderley again. That first line has never failed to delight me and that dream sets the tone for the book. I’ve read it many times and each time I fall under its spell. A book I read whilst recovering from flu – Lark Rise to Candleford by Flora Thompson, in which she records country life at the end of the 19th century – a portrait of a vanished England. It’s a gentle and beautiful picture of the lives of ordinary country people. The first book by Kazuo Ishiguro that I read – The Remains of the Day I love the pathos of this novel about Stevens, an English butler, reminiscing about his service to Lord Darlington, looking back on what he regards as England’s golden age and his relationship with Miss Kenton who had been the housekeeper at Darlington Hall. The first Tommy and Tuppence story I read, (but not the first one Agatha Christie wrote) – By the Pricking of My Thumbs in which ‘something wicked’ is afoot, there is evil about and Tuppence’s life is in danger. A dark and sinister tale. Because I love cats I was drawn to this book in the bookshop one day in the 1990s – The Wild Road by Gabriel King. It’s a magical book of fantasy and adventure as cats and other animals navigate the ‘wild roads’ and meet the perils of sharing a world with humans – a story of good overcoming evil. I first read some of Thomas Hardy’s books at school – The Woodlanders, though is one I’ve read after I began my blog. I love the way Hardy describes the landscape (the whole of this book is full of trees!) of Little Hintock in his fictional county of Wessex and how he integrates them with the characters. The Falls by Ian Rankin – this combines so much of what I like to read in crime fiction – a puzzling mystery, convincing characters, well described locations, historical connections and a strong plot full of tension and pace. When a carved wooden doll is found in a tiny coffin at The Falls Rebus then discovers that a whole series of them had been found dating back to 1836 when 17 were found on Arthur’s Seat, the extinct volcano within Holyrood Park, east of Edinburgh Castle. The Rain Before it Falls by Jonathan Coe – there is so much that appealed to me in this book about three generations of women. It’s a story within a story – after her aunt Rosamond died Gill discovers family secrets she never knew before . And finally a beautiful book by Marghanita Laski – Little Boy Lost the story of Hilary Wainwright, who is searching for his son, lost five years earlier in the Second World War. It’s emotional, heart-wrenching and nerve-wracking, full of tension, but never sentimental. It is a wonderful story! 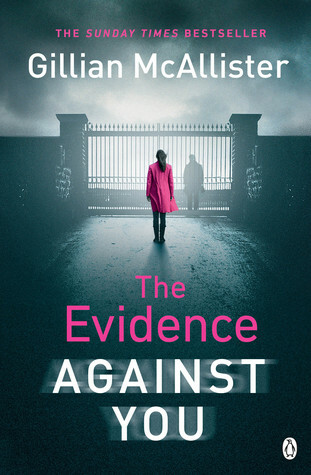 I was delighted to receive a review copy of The Evidence Against You by Gillian McAllister from the publishers. And as soon as I began reading it I knew I was going to love it and I just didn’t want to stop reading until I’d finished it. It’s the third book I’ve read by her (her earlier books I’ve read are Everything But the Truth and No Further Questions). Gabe (Gabriel) English has been released from prison on parole, having served seventeen years for the murder of his wife, Alexandra. Izzy, his daughter, now 36, is dreading his release. Following the death of her mother she had lived with her maternal grandparents until she married Nick, a police analyst and had carried on running her mother’s restaurant on the Isle of Wight. Her childhood had been a happy one until the murder. The judge said it was an open and shut case and he had sentenced Gabe to life imprisonment. But nobody really knew exactly what had happened the night Alexandra was killed – she simply went missing and then her body was found – she’d been strangled. Izzy had thought that her father could never have harmed anybody, let alone her mother. Now, he swears that he is innocent and wants to tell his side of it. He asks her to consider the evidence for herself. But is he really guilty – can she trust her father? This is a brilliant book that had me guessing all the way through. I was hoping for Izzy’s sake that Gabe was telling the truth even though the facts didn’t seem to back him up. Prison had changed him – he is angry, bitter and resentful – and Izzy is full of doubts about him and about her parents’ relationship. She questions her memories – what had seemed straight forward and certain to her before, now appears in a different light. But Paul, her father’s friend believes him, telling Izzy that some of the evidence was circumstantial, so she gives him the chance to explain, especially when Paul tells her that there was a witness who could have given Gabe an alibi if the police had found him. 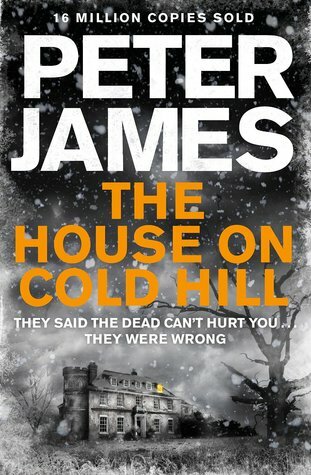 It’s a character-driven story of conflict, of broken lives, of the destruction of families, and of devastating trauma as secrets from the past come to the surface; a story full of twists and turns that left me hoping so much that Gabe was innocent and wondering if he hadn’t killed Alexandra who had and why. As well as the mystery it’s also about the catastrophic effects of being accused of a crime and being imprisoned long enough to become institutionalised, particularly on release from prison. Gabe finds simple things like shopping difficult and as well as being angry and bitter he is anxious and fearful, struggling with making decisions without the rules and discipline of being in prison. It’s a tense, tightly plotted book and completely compelling reading. The ending did take me by surprise, although looking back I can see that it was lightly foreshadowed and I just hadn’t noticed. It is without doubt one of the best books I’ve read so far this year. 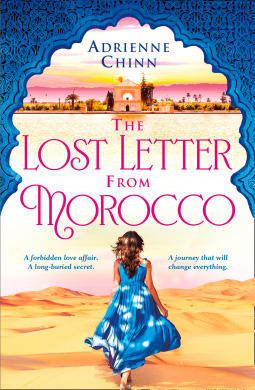 My thanks to the publishers, Penguin UK Michael Joseph for my review copy via NetGalley. 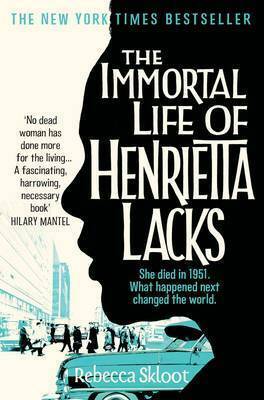 This week I’m featuring The Immortal Life of Henrietta Lacks by Rebecca Skloot. This is one of the books that I’m currently reading. Her name was Henrietta Lacks, but scientists know her as HeLa. Born a poor black tobacco farmer, her cancer cells – taken without her knowledge – became a multimillion-dollar industry and one of the most important tools in medicine. Yet Henrietta’s family did not learn of her ‘immortality’ until more than twenty years after her death, with devastating consequences . . .
Rebecca Skloot’s fascinating account is the story of the life, and afterlife, of one woman who changed the medical world forever. Balancing the beauty and drama of scientific discovery with dark questions about who owns the stuff our bodies are made of, The Immortal Life of Henrietta Lacks is an extraordinary journey in search of the soul and story of a real woman, whose cells live on today in all four corners of the world. So far, I’ve read 34% and I am thoroughly enjoying this book. It tells Henrietta’s life story, explains the details of her cancer, and the medical details of how her cells were grown, how they have stayed alive and multiplied. It also considers the ethical issues around ownership of her cells, racism and the distress, anger and confusion this caused her family. I know ‘amazing’ is such an over used word – but this book really is amazing!